Synaptics is the name of the outfit responsible for producing the fingerprint sensor on the Samsung Galaxy S5. If all goes to plan, you can expect to see the biometrics feature show up next year on Sammy's wearable devices. While the fingerprint sensor on the Galaxy S5 unlocks the phone and can be used in lieu of a signature on some transactions, the question is what functionality such an application would have on a smartwatch or fitness band. Considering that it is Synaptics and not Samsung making this revelation, it could be a matter of the supplier just "talking its position," especially when it doesn't seem so clear how such a feature could be of much use on a fitness band or smartwatch. Synaptics also believes that other companies besides Samsung, will start using biometrics on their wearable devices. 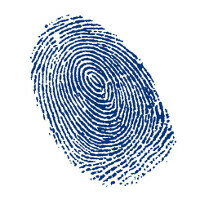 Apple is expected to expand its roster of Touch ID devices. According to connected KGI analyst Ming-Chi Kuo, all of Apple's new devices this year will feature the embedded fingerprint scanner, including this year's version of the both the 9.7 inch and 7.9 inch Apple iPads. There is no word on whether the Apple iWatch will offer such a feature. Actually its not horrible. It works 90% for me. And why the heck would you need a fingerprint scanner on a watch when it stays on your wrist 24/7. Because the NSA, other intelligence agencies, Google, Samsung, etc. want to track you all the time and they'd like to have a high degree of confidence in knowing who is wearing the watch. Otherwise, you could buy a watch from someone else and figuring out who is using the watch is a bit harder, especially if you don't have your usual email accounts and other personalized information on the watch. I don't get how Samsung does it. Implement things so badly, but their products still sells well. Jack of all trades master of none. Also, their products are usually cheaper at the retail level - quickly plummenting in price. "I don't get how Samsung does it. Implement things so badly, but their products still sells well." Samsung saves billions on design/implementation/quality and spends those billions on advertising instead.